This story starts with cockroaches. The American Cockroach, to be more precise. Periplaneta americana. Water bugs. Coffee-colored, segmented vermin of various proportions, some as long as a grown woman’s ring finger and twice as wide. All antennaed cigars a little fuzzy around the edges, perpetually viewed as from the banks of a shallow pond on a breezy day. Their flitting movements certainly tended to suggest an otherworldy origin—if not aquatic then demonic, gliding like phantoms along the grubby linoleum on the eighth floor of our building as if possessed by the lost souls of Hell, or perhaps Satan itself. I had only ever encountered the enemy in the corridor at night on the way to the bathroom, or—God forbid—to the virtually unusable eleven-person kitchen commons to wash a piece of fruit (a mistake I had made but once), but I knew that it was only a matter of time before my bedroom defenses were breached by these staunch and ruthless troops. Strategic wisdom suggested to retreat, but I was not ready to concede my spacious corner room with multiple breezy windows and a sunset view of the Hudson, per square meter perhaps the most affordable such vista on the Upper West Side. Kept so affordable, I surmised with some irony, by the chitinous hordes issuing daily from our kitchen cabinets and bathoom sinks. So I bunkered in to play the long game, amassing gel traps, toxic poison bait, and, above all, knowledge. “Sprinkle bay leaves in the corners,” my mother instructed. “I do that in my cabinets, and I have not seen a roach in thirty years here.” That might, I imagined, have more to do with the fact that she did not live in the densely overgrown human Petri dish called Manhattan, but I was not one to turn down advice. That said, I needed something more, and there was only one place to go for it. I hit Science Direct. “Cockroach repelling plants,” I whimpered piteously into the search bar. Mint. Lavender. Lemongrass. Green tea, of course… the evidentiary reply was generous. CATNIP GETS BUGGY, raved a fun-looking headline through the academic jargobabble. Published 2001, Trends in Plant Science by Cell Press. Nice. The link led to a very short news brief on a recent study purporting to demonstrate the repellant properties of volatile nepetalacetone, found in the leaves. I wanted it to be legit. This was bad for my critical thinking. I did not care. I had once been graced the opportunity to sprinkle some catnip onto the living room floor in front of my friend’s two cats, who went from zero to visibly shrooming out in less than ten seconds. Catnip was fun. “And people can make it into tea,” I mumbled, remembering something I had read before, probably on Vice.com. Flooded by visions of the catnip tea food truck empire with which I would colonize Manhattan from a 100% cockroach-free bedroom, I lateraled into Amazon to make the lowest-key impulse buy of my life with $2.50 and free shipping for 1,000 seeds. And waited. Twenty-four to forty-eight hours later, a small white packet had landed in my mailbox. Over the next two weeks, I sprayed water onto the little seeds with religious zeal and the instinctive knowledge that many fewer of them would sprout than had been planted, and only after several more days than I would have liked. Like a Manhattan bedroom armored to the hilt against roaches with pathological cleanliness and carcinogenic bug motels, my heart was stone-cold fortified against all possible disappointments in the domestic agricultural sphere. My militant efforts were not wasted, and tiny green caps, small as aphids, began peeking out from between the grains of soil. It seemed that the tides of war were starting to shift in my favor. New sprouts popped daily out of nearly every cup. These quickly grew into lanky white seedlings, each topped with a single pair of tiny green leaves. With each rise and fall of the sun’s rays through my window, my anticipation grew alongside the leggy sprouts steadily covering the sill. Until one sunny day when I returned from class to find a massacre. Paper cups lay scattered across the floor as though after a heavy storm, each half-full at most with dried-up potting soil. Clumps of dirt on my chair legs, between the shafts of my radiator, atop my rug, mingling with the dried bay leaves in every corner. And my catnip sprouts, lying naked and sad, shriveled and expired, each having died alone, no loved one to hold them as they passed. A spectacular gust of wind had evidently torn through the open windows and kicked over the whole setup while I was sitting in lecture, oblivious to the horror that had struck. I dropped to my knees and cried. My plant friends! I had sworn to protect them while they played in their generously watered budget dirt, and now they were dead because of my negligence. Most of them had barely reached over the sides of their shoddy cardboard seedling cups, and some of their sad, short sproutlet lives had never even offered the chance to see the fiery sunset over the gleaming Hudson. Face wet with tears, I desperately tried to gather the evacuated carcasses and put them back into their paper cups. Sucked dry of their life-force, they simply wilted onto the dessicated soil. Not to be deterred, I watered them gently and watched tearfully as they were simply slurped into oblivion by the muddy eddies. I set the salvaged cups, now significantly fewer in number, onto the window sill and waited in vain for a few more days. Nothing. It turned out, however, that their deaths could not have been more timely. I was suddenly graced with the fortuitous opportunity some weeks later to move from the grimy dormitories into a big-girl apartment complex, and it was quite a while before I seriously considered embarking on the catnip adventure again. But after my new roommate and I had unpacked our few possessions, filled our clean and eminently usable kitchen with all the panini makers and electric kettles that our alimentarily impoverished dormitory lives had forbidden, and hung the requisite slightly weird artwork over the university-issue waiting-room furniture in our den, I was ready to make my bedroom a home again. Without cockroaches. I had learned from my fatal error with the paper seedling cups and would not twice make the same mistake. This time, I came prepared with a clay pot—slightly cracked, a bit like the family tree of my seed packet—into which I stirred a generous handful of seeds with the other half of my budget potting soil. I set it on my slightly smaller new windowsill overlooking a significantly more dismal landscape of undergraduate dormitories, probably full of roaches, and waited for the magic to happen. And as life is wont to do, it went on—and up, and out. Within a few weeks my cute baby sproutlets had graduated to gangly teenagers, oversized heads peering over the sides of their clay habitats to quietly take in the college debaucheries happening daily across the street. Until one sunny day when I awoke to find a massacre. I quickly determined that my pillow had fallen off my loft over the night and unpropitiously replaced the clay pot on my windowsill, which was now lying on the ground as a half-empty memorial to the dried and shriveled catnip friends collapsed on the hardwood planks around it. Evidently my having witnessed the original catnip genocide by deadly window breeze had not prepared me for the emotional fallout of catnip death by killer night pillow. I gave myself a few minutes of tearful mourning and decided that it was time for a change of strategy. But we didn’t have a cockroach problem, I argued. Piney arrived just in time for Thanksgiving. She was bigger than I had expected, reaching up past my waist, thick green fronds stretching out about as wide as she was tall, each shiver of her young trunk smelling faintly of Christmas. I put her between the windows of my room and continued a pine-sized adaptation of her angiospermic forebears’ daily spritzual. Piney shivered in delight with this morning shower, rewarding the air of my room with subtle notes of spicy citrus that I prayed would not attract any water bugs. I was, it seemed, finally making some progress. But no sooner had I started pinning medals onto my own lapel that I noticed a slight curl to one of her branches, a little darker than the others. It started at the tip of one frond, turned slightly more inward than appeared to be normal, and slowly spread over the entire branch, desiccating its phloem and stripping the needles to a degree that necessitated its clipping empty. Everything was fine, I reasoned meekly. Just a bad branch. Nothing was perfect. Business as usual. Just keep spritzing. But then Piney’s radiant green began to fade and the youth stiffen through from the tip of another branch. And then two, three, four more, until an entire quarter of the tree was withering into barren contortions. Scarcely two weeks after she had arrived to my room, Piney was dying, and I did not know why. Nothing I tried helped. More watering. Less watering. Rotation. A brief move to the living room. Weekend spa days in the bright morning sun of the south-facing windowsill inside our shower, which eventually lengthened and melded into an extended winter spa vacation. Nothing. Fronds continued to curl as Piney’s once-fragrant needles fell dead into the dirt in alarming numbers. This was a game with so many possibilities, so many moving parts to adjust. Surely one combination of things, the right things, would elicit the result I so desperately needed. If only I tried harder, worked smarter, sacrificed more. I scoured indoor gardening websites and forums. I discussed the problem with my mom and close friends. I tweaked one variable at a time and continued to check Piney’s progress several times per day. Some days were better than others. Some experiments, particularly the move to the bathroom, effected some superficial trappings of temporary relief—a better smell, a slightly more noticeable sheen to the remaining branches. But even if punctuated by deceptive backsteps and tangents on the way, Piney’s ineluctable march to coniferous doom continued. The problem demanded more effort. The problem demanded better effort. The problem demanded more painful effort. I just had to dream up the one right answer. The correct permutation of steps for pulling her out of the woods was out there for the taking. By my own failing, I just hadn’t found it yet. The day eventually came when Piney, dead branches carefully trimmed, resting peacefully on her sunny windowsill in bathroom humidity that I had so desperately hoped to be safe and familiar, consisted of nothing more than a single frond bravely extending from her main trunk. To my dismay, I saw its dull grey-green and felt its rigidity between my fingers and realized that it, too, had finally been claimed by the mysterious stiffness that had extinguished the rest of my friend. Holding back catnip tears twice shed already, I snipped off Piney’s apical growth cone as a keepsake and carried the rest of her corpse down to our building’s refuse heap. I stood over the composting bin, grasped the base of her dried-up stalk, and shook her from the surrounding pot. Shining red plastic gave way to clods of dirt that tumbled away to reveal a shriveled and gnarled root system, wet and rotted through. A thick miasma of fungus flies rose with the black smell of decomposition. Piney had been dead for weeks. Throughout my daily agonies of vain calculation, I had been trapped in a labyrinth of left turns doomed to fail. Her root system had likely been burned out by a combination of overwatering and poor drainage, knowledge that had come without the authority of clear data and much too late to be useful. Where I had lacked in observation and foresight I had attempted to compensate with love and attention. But in this circumstance, even love could never have been enough—for all the seemingly fresh green fronds that she continued to wave proudly above the surface of her dirt, at the root Piney had been vapid and cold, bereft of any real potential from the start. My mistakes, if any, had been early in the game—excessive openness to ignorant creative trial with too much expectation for forgiveness to error. Piney, as it turned out, was as fragile as she was beautiful, and did not possess the resilience for second chances. 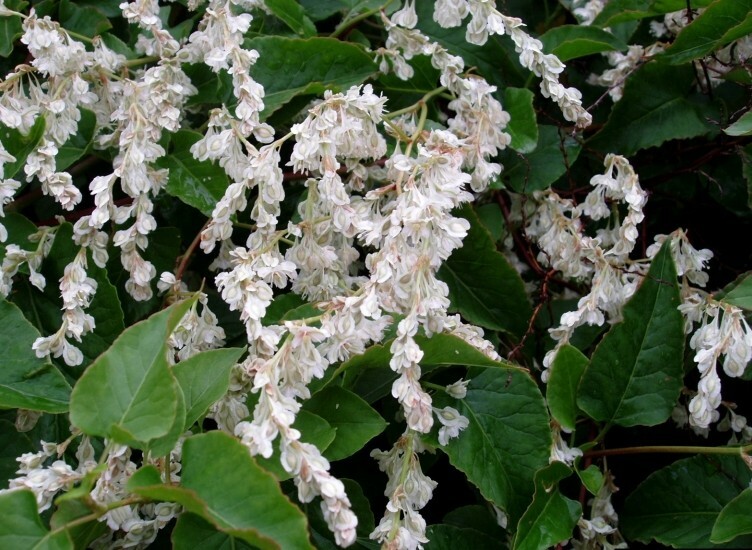 Polygonum aubertii, known colloquially as the silver lace vine, is a fast-growing woody climbing vine and relative of the catnip plant. A competitive species known to put on several feet in one year, its extensive and destructive root system can quickly depreciate the value of residential property, making it illegal to cultivate outside in several states. 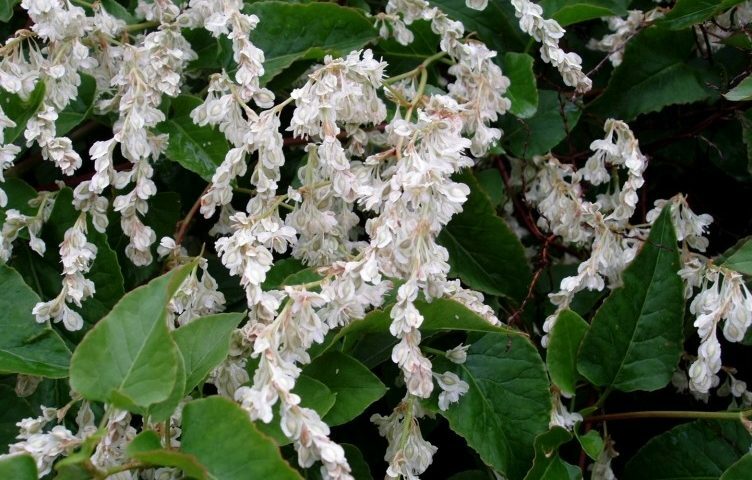 As the silver lace vine develops, its starchy stem grows a shell of bark, rendering eradication of mature plants difficult by blade—and because it spreads by rhizome and not seed, hacking away at its above-ground bits will not eradicate it anyway. Like most weeds, it thrives in a variety of soil and light conditions. It was the unkillable perfect addition to my growing indoor garden of death. I planted Viney in a clay pot next to my burgeoning third-generation catnip farm. She was short and a little squashed from days in transit, about ten centimeters wide and ten in height, with a dozen thick green leaves on display over a slender wooded stalk. The last twenty centimeters of Piney’s lost trunk held vigil over her growing form. I hoped they would become close friends. For the next six months, the silver lace Viney proceeded to engage in a lot of nothing. Her leaves maybe became a little bigger with each spray of water, but I perceived no evidence of real progress. Where was my invasive foreign weed, the relentless conqueror of suburban gardens that grew a foot a month and drew the ire of all the neighbors? I began to doubt that I had been sent the correct species with my order. Until one sunny day when I waltzed over to the window to find a miracle. Viney had sent out a new six-inch shoot overnight, effectively doubling her height from the previous day. Tiny leaves had already begun to form and uncurl from the center, and the end of the new growth stretched hungrily toward the window, evincing no reluctance to continue its ambitious quest forward. Each day following brought another shocking addition to this growth. Six inches. One foot. Another new stalk, and then a fractal expansion into more. After two weeks, Viney had grown three new stems, each twice as tall and full of leaves as the original plant. A pile of dead cellulose began to fall from the lowest branches of her original form, cold evidence that this new diversion of energy was killing Viney as much as it was expanding her. She was, as it were, the unkillable perfect addition to my growing indoor garden of death. I used to envision adulthood as a series of varied experiences that one might absorb and layer into an increasingly vibrant rainbow-cake edifice of variegated wisdom. This youthful estimation has so far proven to be mostly incorrect. I never considered that my bushel basket would be much smaller than the number of illustrious rainbow-cake fruits out there in the world ripe for the picking, and that for every one that I managed to gather, I would drop at least one more without even noticing—it never crossed my mind that change, rather than cumulation, would be the operative word of maturation. But Viney understands this. Every day, she grows another inch at the top, tender new petioles hesitantly unfolding from lanky ends creeping ever-upward—and, every day, the base of her trunk thins a bit more, dropping brown carcasses where verdurous foliage once spanned broadly out. This law of birth from death, beginning from end, new from old, but never something from nothing—this ineluctable process demanded her to bide months to expand and strengthen foundations that she knew would start to crack dry the moment she ventured forth into brighter sunlight. So why venture forth at all? one might ask. Why even change from one perspective to another? Both entities—broad, dormant Viney and leggy, curling Viney—are valid and beautiful ways of being. If we are just going to replace one delicious fruit with another not necessarily better but just different, why bother in the first place? I cannot speak with confidence on behalf of Viney to her particular story, its first pages likely written into her genetic code millennia before a finger-length cockroach had ever scuttled across my hallway floor. But I would like to dig deeply enough to find a truth more poetic than the Malthusian tragedy that in a world of limited resources, life is a zero-sum game in which, as stated so beautifully by Lewis Carroll’s Red Queen, “it takes all the running you can do, to keep in the same place.” Ironically, perhaps the most poetry to this end is to be found not in the animate world but in something a little more abstract. Empirical science is in the business of collecting observations about the past in order to build models that might say something about the real or hypothetical future. The classical way of model-building demands that we intuit the significance of both the forest and the trees well enough to dream up a mathematical expression that can capture the essence of both: Hodgkin and Huxley achieved this, for example, in their Nobel prize-winning model of action potential propagation through the axon as a result of careful experimentation on neurons extracted from the giant squid. But nature does not always offer as convenient an empirical setup as a 1-mm axon lying on a laboratory bench, and sometimes neither our intuition nor our mathematics can keep up with the size of the forest or the complexity of its trees. In such cases, we can instead use numerical approaches or machine learning to wend our way around the same data by incrementally optimizing the value of a single calculated metric—geometric distance between each observation and the current model under construction, or the final homogeneity of potential classifications used to split the data into pieces. Instead of relying on superior vision to take in the whole mountain range at once and deduce the optimal top-down solution through it, we put down our binoculars and muddle through each ridge one unpredictable step at a time—and, in so doing, often come up with superior maps of the landscape, even if the process demands a lot more time, energy, and, most importantly, seemingly dead-end failure in the middle. Maybe, then, a more comforting rationalization for life’s nagging tendency against experiencing true accumulation is not at all about competition for limited resources—not about the fact that our bushel baskets were woven a bit too small, or that Viney’s soil does not have enough nutrients to sustain a plant both broad and tall—but about the fact that the only way forward into the true unknown is in a slow unfolding of events, toward new horizons that we could not see were unseen until we lost our old vantage points to climb the next hill: that some solutions simply cannot be computed until earlier ones are first tried and abandoned. And abandoned they must be, because if the next road wandered contains any shred of previous footfalls, then we are just walking in circles—arbitrarily limiting possible new solutions to the tyranny of old constraints. So then one value-add of change is, itself, expanding the set of new potential changes: Loss, wholesale, complete loss, enables a broader horizon of new seas to sail than slapping a new plank or two onto a decaying ship. And yet, even the most irrevocable loss is never truly gone: For the ocean of time may have washed clean every print we have laid in the sand, but it can never sweep us back to the side of the beach from which we came. Old Viney is just as valid a way of being as New Viney, but Viney the Seed became Old Viney in the first place only because that was all she could see at the time. This hardly counts as informed consent, so why are we stuck on loss-aversively sentimentalizing what amounts to only another endpoint of a previous transformation?—Speaking of stories written into genetic code for millennia. Piney will no longer grace my nighttime air with her spicy holiday scent, and Viney will never again flit an abundance of bushy green leaves at me when I spritz her with water in the morning. But the beautiful solution upon which they have both converged could never have come to pass without these two points of painful evolution: What they are at present necessitates—and therefore more than simply memorializes but actively expresses—their past lives. By having lived, died, and resurrected into something completely unfathomable from the perspective of their initial conditions, all iterations of their being have collapsed and found eternity—one to outlast even the cockroaches that we have long abandoned in our discourse for a thing much more beautiful.